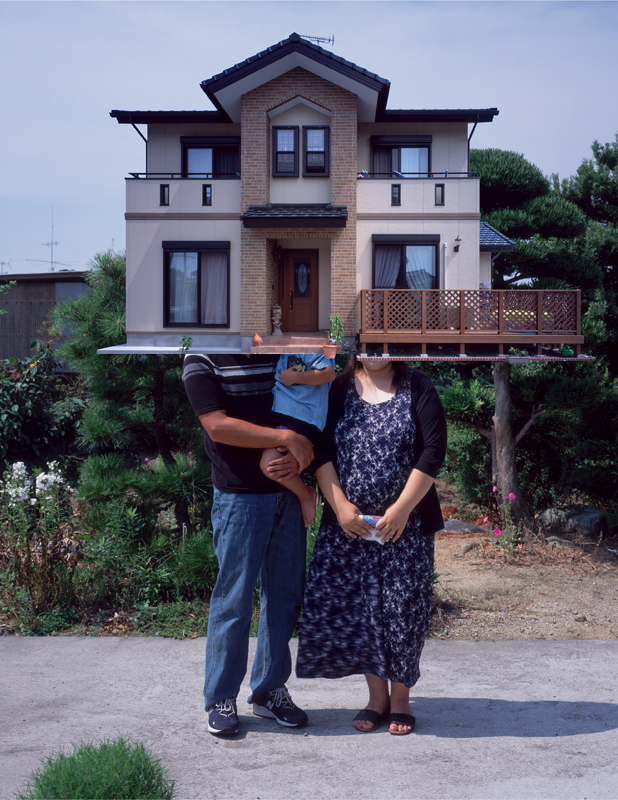 The English 'house,' which is for the Japanese 'uchi,' means not only house but also persons and family. 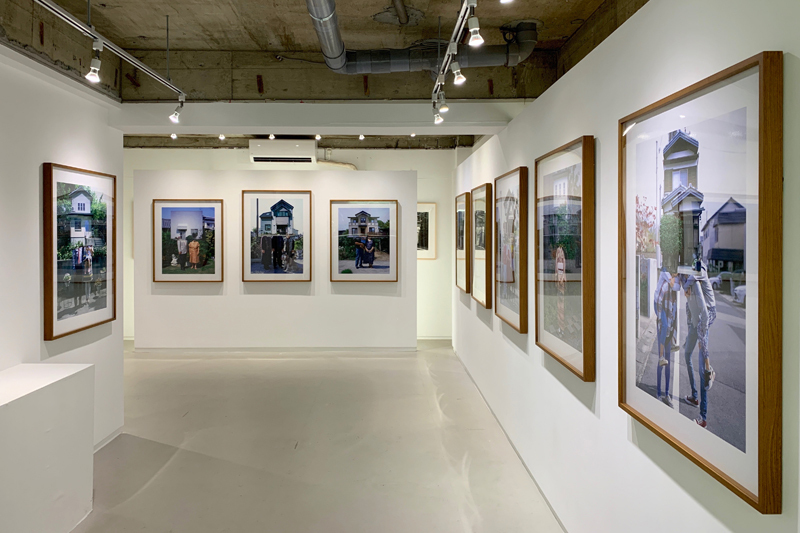 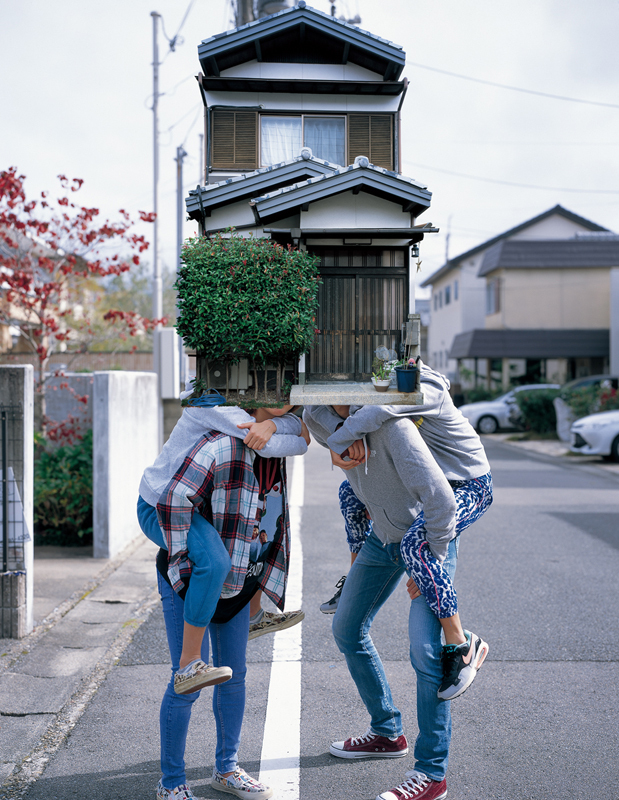 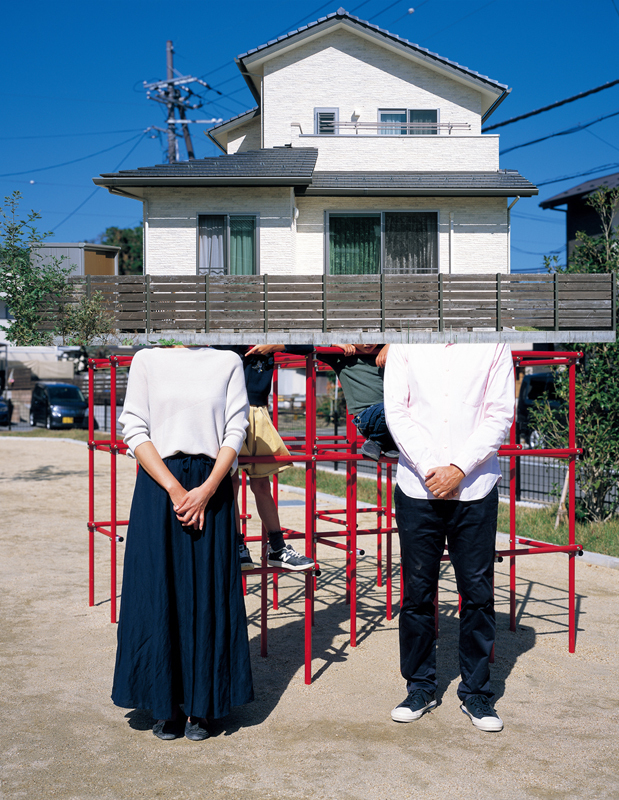 It was in the spring of 1997, when my family moved to their new house that was fabricated by some Japanese carpenters, I was interested in making the relationship between families and their houses in Japan. 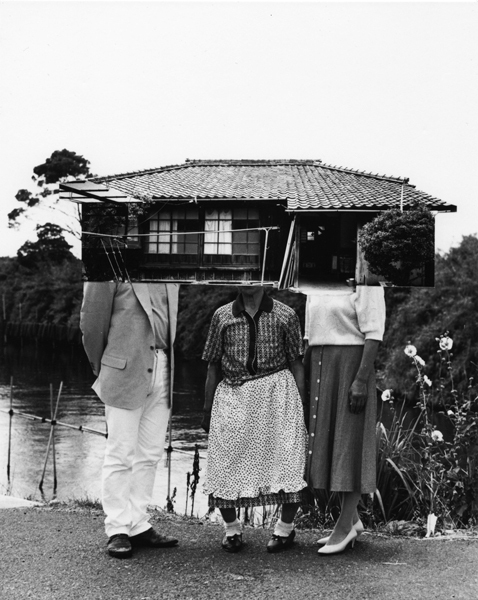 Traditionally Japanese people desire to build their own houses with carpenters. 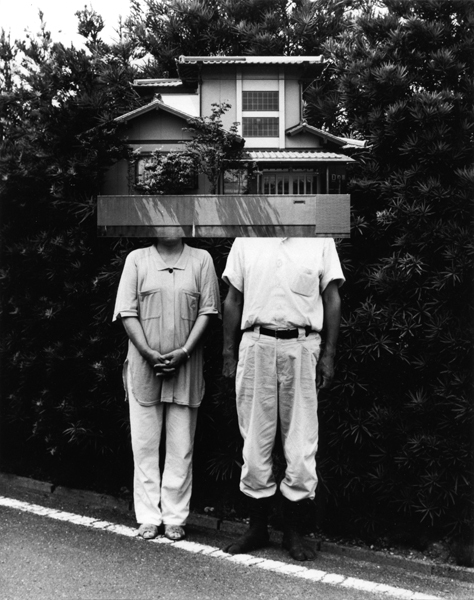 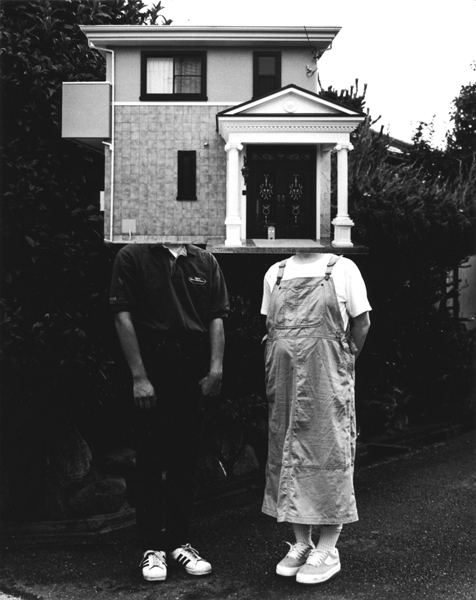 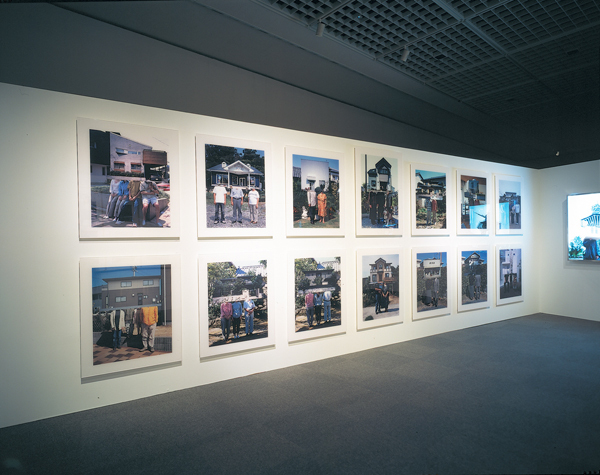 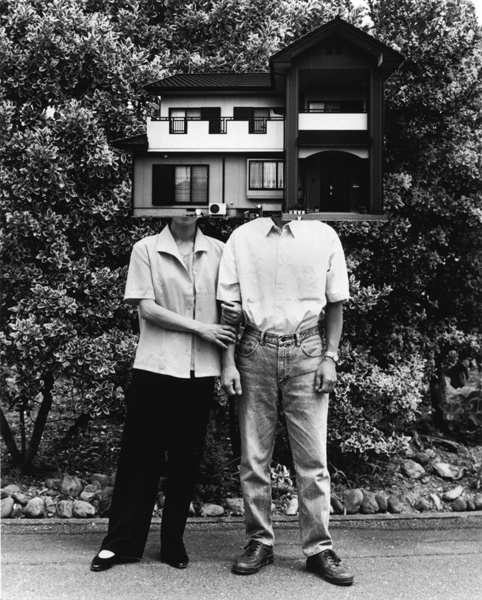 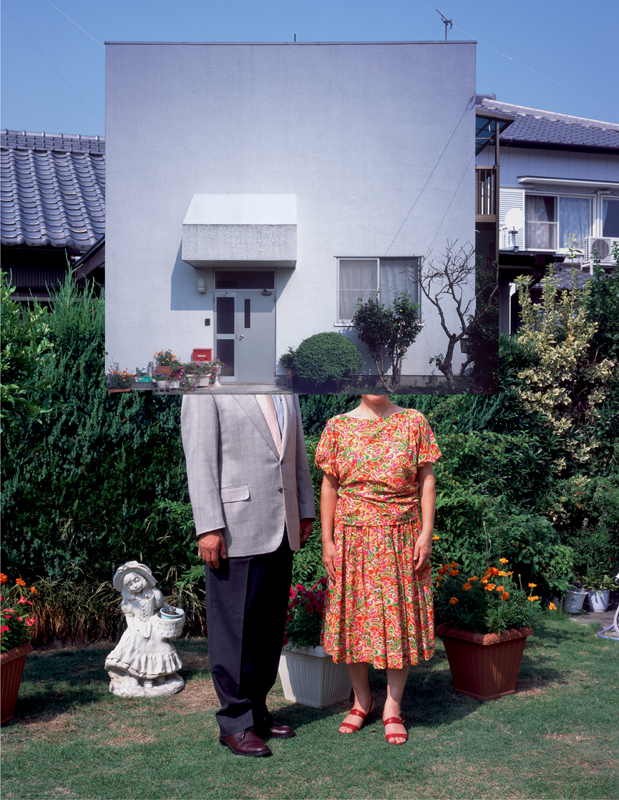 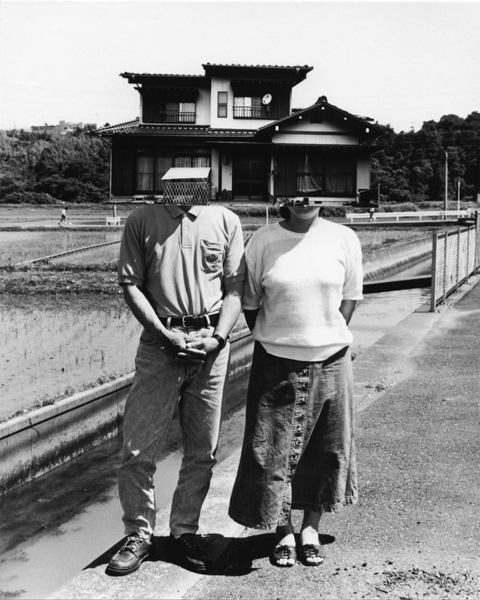 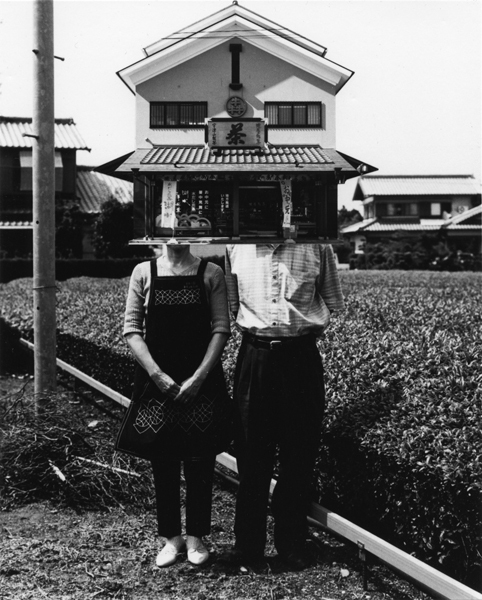 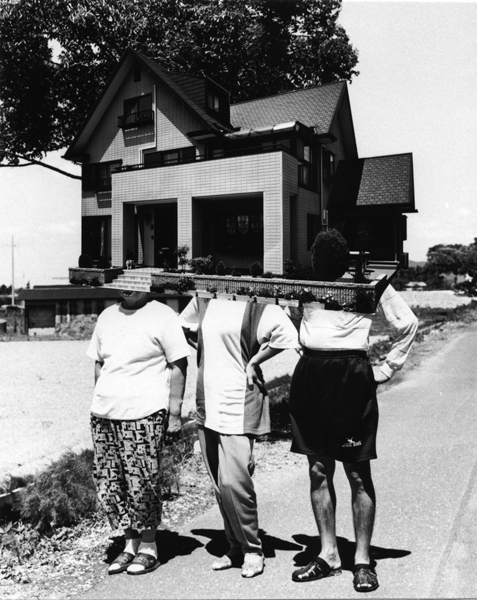 The project Japanese House (1997 - 2004) consists of creating montages from portraits of Japanese families and the houses that those families had built, concerns the identities of families. 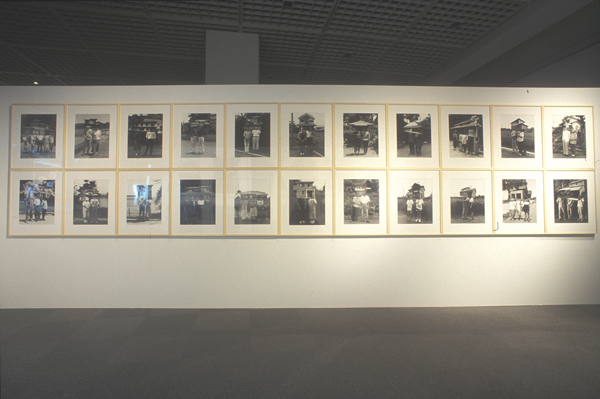 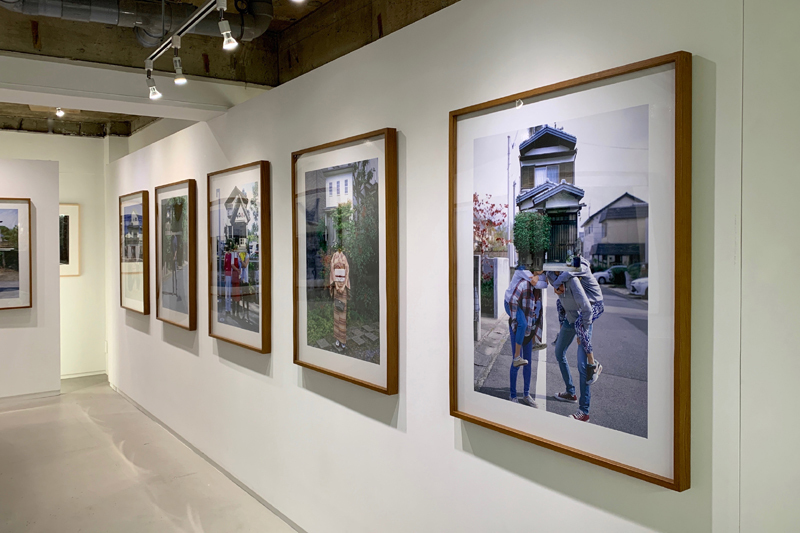 The completed images express the desire of Japanese persons for their own homes. 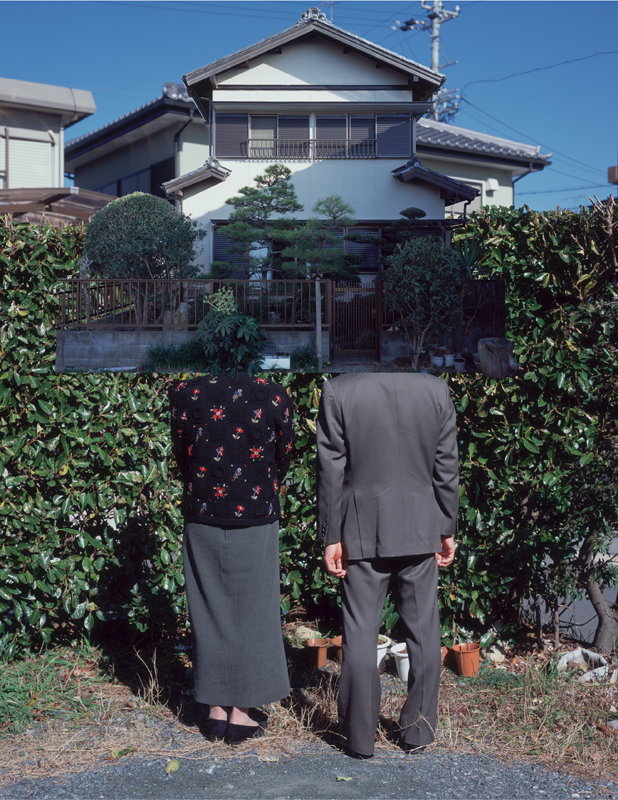 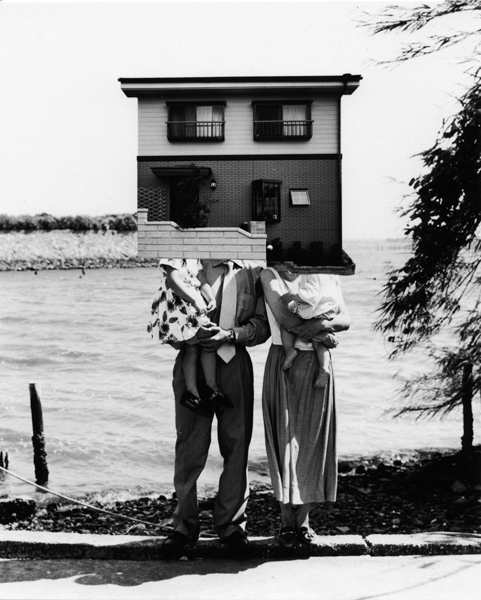 The photographs of these houses that families had built are stripped from their settings and stuck on the heads of the family, become masks that conceal the identities of the individual family members while becoming the identity of the family as a whole. 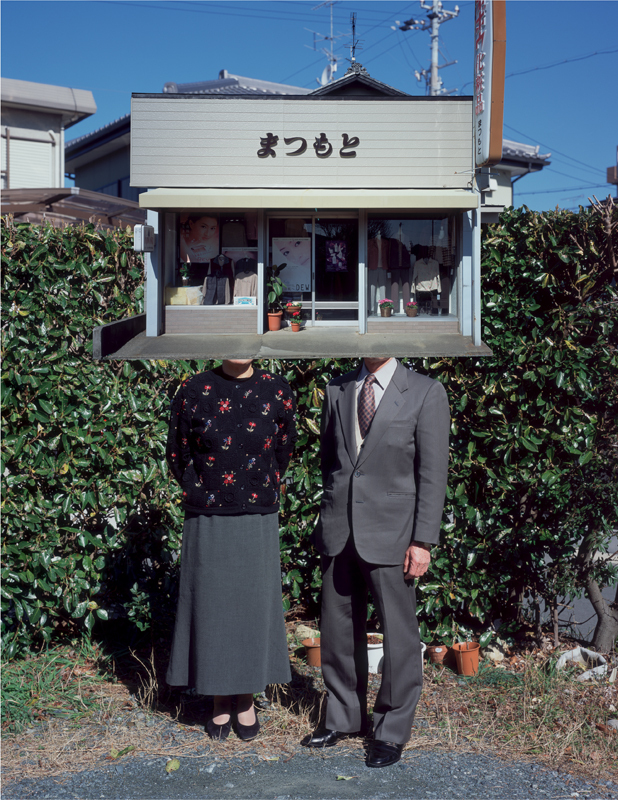 These surreal images, fusing portraits of house and family, are a form of anthropomorphism and explore the similarities between architectural structures and the human body. 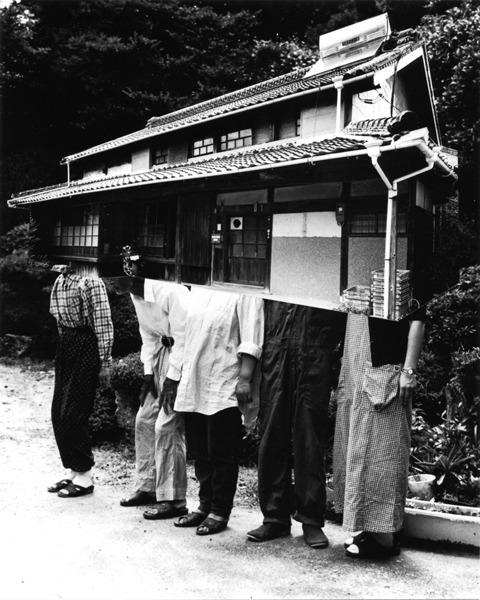 The work concerns human beings surrounded by four walls in purely human-scale, small built spaces.